The Certified Information Systems Auditor (CISA) certification course in Chennai is designed to train the learners on how to perform a security audit in any company and how to control and govern enterprise IT. 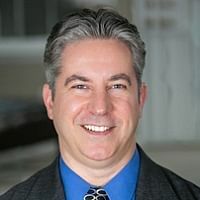 You can also learn the standards, guidelines, and best practices to safeguard the information systems including its acquisition, development, testing, and implementation concepts. Information security has Certified Information Systems Auditor (CISA) as one of its renowned aspects. It comes with the capability of creating six million jobs for IT security professionals. The CISA certification course in Chennai is ideal for professionals who wish to start a career in the information security domain. The training is aligned with ISACA and educates the applicants about IS audit processes information system protection. CISA certified professionals are, moreover, preferred by companies for the job roles in Information Security domain. What skills will you learn with this CISA course? Who should take the CISA certification course in Chennai? 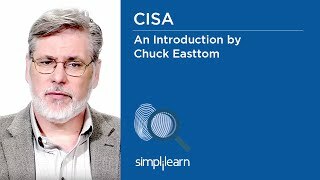 Why should I enroll in the CISA certification course? CISA has become one of the most sought-after certification programs as there is a rising demand for professionals having skills in control, security, and audit of information systems. The CISA certification course in Chennai equips you with the in-demand skills of the information security domain. You will gain the confidence to pass the CISA certification exam and stand out from your competitors. How will I become a CISA certified professional in Chennai? Click here to visit ISACA’s CISA page and get further details. What are the prerequisites for the CISA certification course in Chennai? Submit the complete application after qualifying in the examination. The time limit for submitting the application is 5 years. The applicant’s listed experience should be verified by his employer. The mentioned experience must have been gained within the 10-year period preceding the date of application, or within five years of passing the examination. Complete 85% of the course of CISA certification training in Chennai. Attend one entire batch of CISA Certification Course. Applicants of the self-paced learning mode can complete the CISA training in 40 hours. Those of online virtual class learning mode takes 32 hours to finish the training. The CISA certification can be attempted for a maximum of 3 times. Applicants can, however, gain the confidence to clear the exam in a single attempt with Simplilearn’s training. The CISA course certification has lifelong validity. The CISA exam can be taken for a maximum of 3 times. After a failed attempt, you can retake the exam immediately. I have passed the CISA examination in Chennai. When and how will I receive my certificate? Applicants can use the Learning Management System to download the CISA course completion certificate after finishing the course. The applicants can even share the certificate through LinkedIn. Simplilearn offers a money-back guarantee for the CISA certification course. What is the average salary for an IT Auditor in Chennai? As per Payscale, IT Auditors in Chennai earn a median salary of Rs 1,017,441. Professionals can earn even higher if they take CISA - Certified Information Systems Auditor training program. Which companies are hiring IT Auditors in Chennai? Many companies in Chennai require skilled IT auditors such as Wells Fargo, Iqura, PLC, and ICON. What tools do I need to attend the CISA training course in Chennai? What all will I get as part of the CISA training course? The CISA course in Chennai includes rich e-learning content and practice simulation exams as well. A participant handbook is also provided with a cross-reference to the course material and helps in the better preparation of the CISA exam. No, the course price does not include the exam fee. Applicants can apply, get a membership, and take the exam by directly paying the fees to ISACA. ISACA considers a score range from 200 to 800 for the CISA exam. A score of 800 means that applicant has answered all the questions correctly, while a score of 200 indicates the lowest score. A score of 450 must at least be achieved to pass the CISA exam. What is the cost of the CISA certification exam? The CISA certification cost can range between $450 - $760 depending on whether the applicant is registered or not. Every year, CISA exam is conducted in July, September, and December. To get details regarding test centers and exam dates, applicants can visit www.isaca.org/certification/pages/exam-locations.aspx. On failure to take the CISA exam, applicants are allowed to defer their registration fees to the next exam date. The deferral costs and deadlines can be checked using the following link: www.isaca.org/examdefer. Learners can post their queries related to the exam application process at community.simplilearn.com and get the required guidance. Questions regarding the course can also be asked. Simplilearn takes the initiative of giving the best-in-class learning approach for its learners. The CISA trainers help the learners clear their exam with excellent results and enhance their skills beyond what is required for the exam. If necessary, learners can cancel their enrollment. After deducting the administration fee, learners get a complete refund of the course fee. The details regarding refund are covered in our Refund Policy. To get further details regarding the CISA course, learners can use the Contact Us form or the Live Chat link and talk to our customer service representatives. Profile screening, technical assessment, and a training demonstration are the stages followed to select the trainers for CISA course at Simplilearn. The trainers should have thorough domain knowledge, high alumni rating as well as teaching experience of more than 10 years. Simplilearn’s mentors are highly qualified and engage the learners throughout their course journey. They enrich the learning experience of the learners right from class onboarding till project completion. They cover all the course related topics thoroughly and provide assistance during business hours. Simplilearn’s support team is available 24/7 to provide guidance via chat, calls, and email. Access to a community forum is also given to the learners by Simplilearn. The forum can be used to discuss course related queries and can be used for a lifetime. For Online Flexi-Pass Learning - Simplilearn provides live online training in addition to the pre-recorded videos.